Recycle Brevard is participating in several TerraCycle recycling programs with the goal of diverting more waste from our landfills. 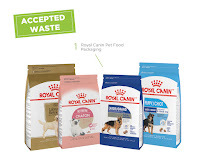 You may bring the accepted waste listed below to our facility at 1535 Cogswell Street unit C-15 in Rockledge any time convenient to you. 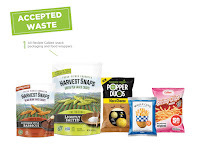 If not during our open hours, you may deposit your TerraCycle items in the bin located outside our door. We will pick it up from there. You may also drop off your TerraCycle items at The Green Marketplace. We have partnered with The Green Marketplace to be our drop-off location in Cocoa. Their open hours vary, so please check their page before heading their way. The DRS Community Center in Satellite Beach has partnered with us to be a drop-off location for PERSONAL CARE items. They have a bucket with our sign (see picture on the right) indicating what items are accepted. If you live in that area, you may drop off your empty items in the lobby at DRS and we will be collecting from them. Other drop-off locations may become available in the future as we secure locations and volunteers to help with this effort. 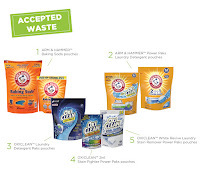 TerraCycle uses a point system and some of their programs may reward shipments with points depending on the size of the shipment. Each point is worth $0.01 and each program has its own rules. Some may use shipments to donate $ to other charities, as it is the case of the contact lenses program, and others may not result in any points at all - they simply offer the opportunity to recycle a specific item -, as it is the case of the Hasbro Toys, instrument string, SOLO cup programs among others. 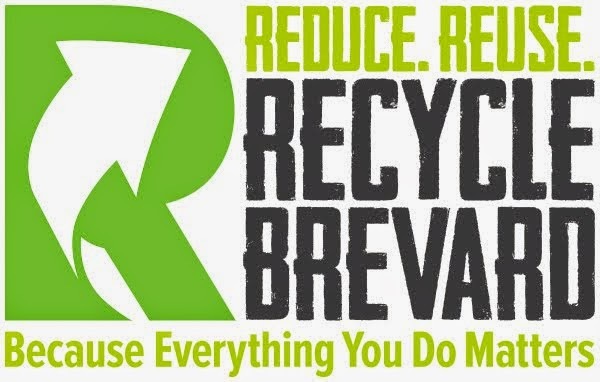 To help divert as much as possible from the landfills, Recycle Brevard participates in as many programs as we can regardless of whether points may be awarded or not. If you have any questions, please contact us at terracycle@RecycleBrevard.org. Bausch + Lomb One By One: Biotrue® ONEday brand contact lenses and blister packs, as well as other Bausch + Lomb brand contact lenses and blister packs. For shipments over 10lbs, a $1 donation will be made to Optometry Giving Sight for every pound of accepted Biotrue ONEday brand packaging sent through this program. Beach Plastic: All rigid beach plastics are accepted. Rigid "beach" plastics are any rigid plastics found along any shoreline (i.e. rivers, beaches, bays, lakes). 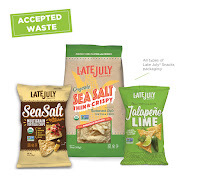 This program is ON HOLD as Terracycle has suspended shipments for this program until further notice. Colgate® Oral Care: Toothpaste tubes and caps, toothbrushes, toothpaste cartons, toothbrush outer packaging, and floss containers. Please note: Electric toothbrushes, battery toothbrushes, and/or their parts are NOT recyclable through the program. eos Packaging: eos lip, lotion, and shave packaging. Fabric Care Bottle and Caps: all brands of #5 plastic laundry caps and #2 plastic laundry bottles. Caps must be secured to their respective bottles when being recycled. All Tide bottles and caps are #5 and #2 plastic respectively, just make sure you keep the cap secured to the bottle when recycling. packaging and flexible film packaging, and trigger heads. 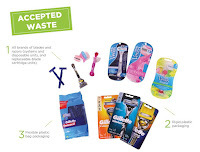 Gillette Razor: All brands of blades and razors (systems and disposable units, and replaceable-blade cartridge units), rigid plastic packaging, and flexible plastic bag packaging. Hasbro Toys: All Hasbro toys and games, including: board games, electronic toys & games, metal/plastic/wood toys & games, action figures, dolls, plush toys, etc. Personal Care and Beauty: Hair care packaging such as shampoo caps, conditioner caps, hair gel tubes and caps, hair spray triggers, and hair paste caps. Skin care packaging such as lip balm tubes and caps, soap dispensers and tubes, body wash caps, lotion dispensers and caps. Cosmetics packaging such as lipstick cases, lip gloss tubes, mascara tubes, eye shadow cases, bronzer cases, foundation packaging, powder cases, eyeliner cases, eyeliner pencils, eye shadow tubes, concealer tubes, concealer sticks, and lip liner pencils. TerraCycle closed their e-waste recycling program but you can drop off electronics -- all but CRT monitors, functioning or not -- at our facility, FREE of charge. Please, visit our Electronics page for more information.